MARDAN, Pakistan (AP) — The imposing, black-bearded politician in a striking white turban takes the stage at a campaign rally in northwest Pakistan as a song about Islamic holy war blares over loudspeakers. Before a chanting crowd, he praises the Afghan Taliban and blasts Pakistan's government for not protecting Osama bin Laden from U.S. commandos. Maulana Shujaul Mulk is one of hundreds of candidates from hard-line Islamist parties running for office in this Saturday's national elections. Many analysts expect the Islamists to win more support than in the last vote five years ago, raising concerns about the impact they could have in a country already plagued by rising intolerance and a deadly Taliban insurgency. The Islamists could also make life more difficult for their avowed enemy, the United States, which needs Pakistan's help to fight Islamic militants in the country and negotiate an end to the war in neighboring Afghanistan. The parties are seen as close to Pakistan's powerful army, which has allegedly used them to put pressure on the U.S. at troubled times in the relationship. The army "wants someone who keeps on hounding the next government on how and what to negotiate with the Americans," said Pakistani political analyst Ayesha Saddiqa. 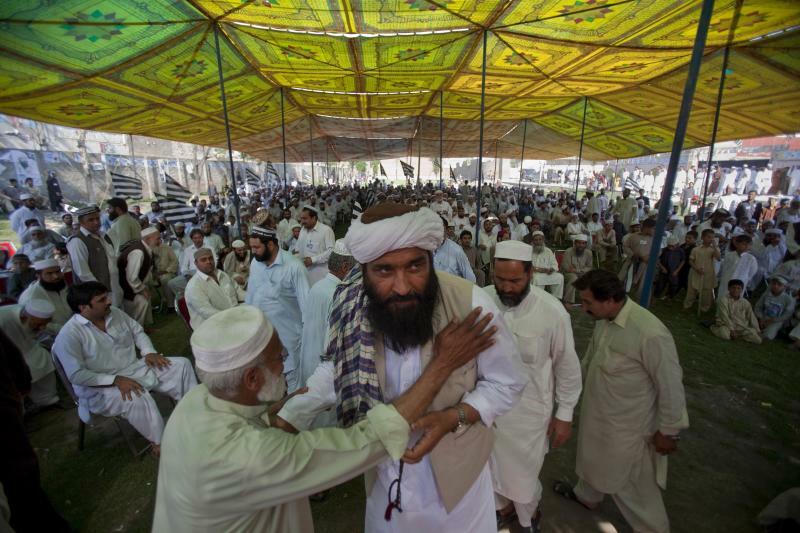 Hard-line Islamist parties like Mulk's Jamiat Ulema-e-Islam enjoy significant support in majority Muslim Pakistan, especially in conservative areas along the Afghan border. The parties often attract tens of thousands of people to their public rallies, but in the past they have had difficulty converting this into seats in the national and provincial assemblies because Pakistanis vote based on many factors other than religion. Still, they are expected to make some gains in Saturday's vote. The Islamists could win enough seats in the national parliament to influence the behavior of the federal government, since the ruling coalition that emerges is expected to be fairly weak and susceptible to the demands of smaller parties. On the local level, analysts believe Mulk's party could pick up enough seats in northwest Khyber Pakhtunkhwa province's assembly to make them key leaders in the next provincial government. The province, bordering Afghanistan, is a stronghold for Islamic militants, and an Islamist-led government could give the Taliban and other militants more room to operate. Islamist parties like Mulk's generally believe the government should negotiate with the militants rather than fight them. The Islamist parties "may show lenience toward harsh practices of the Taliban, and will not push for (the) perpetrators of abuses, such as bombings and attacks on women's rights campaigners and girls' schools to be brought to justice," said Mustafa Qadri, Amnesty International's Pakistan researcher. Officially, Pakistan's election commission has banned campaigning in the name of religion. But Islamist parties have completely ignored the edict without any apparent repercussions. One of the most prominent parties, Jamaat-e-Islami, has campaigned using a truck carrying a large model of the Kaaba in Mecca, Saudi Arabia, the holiest site in Islam. Muslims around the world face Mecca when they conduct daily prayers. Posters plastered around the capital, Islamabad, cite "God, the Prophet and the Quran" as the basis for the party's platform. The relationship between Islam and Pakistan has been a contested issue ever since the country achieved independence from Britain in 1947. Pakistan's founder, Muhammad Ali Jinnah, sought independence because he did not feel that Muslims could fully secure their rights in British India, a majority Hindu country. But he also outlined a vision of Pakistan where every religion could be practiced freely. Many hard-line Islamists disagree with this vision, and persecution of religious minorities in Pakistan, such as Christians, Hindus and Ahmadis, is on the rise. Minority Shiite Muslims have also been targeted in scores of deadly attacks by radical Sunni militants. Islamists also relentlessly target the U.S., claiming the country is at war with their religion — something Washington has long denied. At the rally held by Mulk in the city of Mardan last week, Muslim seminary students rallied the crowd by shouting, "Down with America!" The audience responded by chanting, "Long live Islam!" 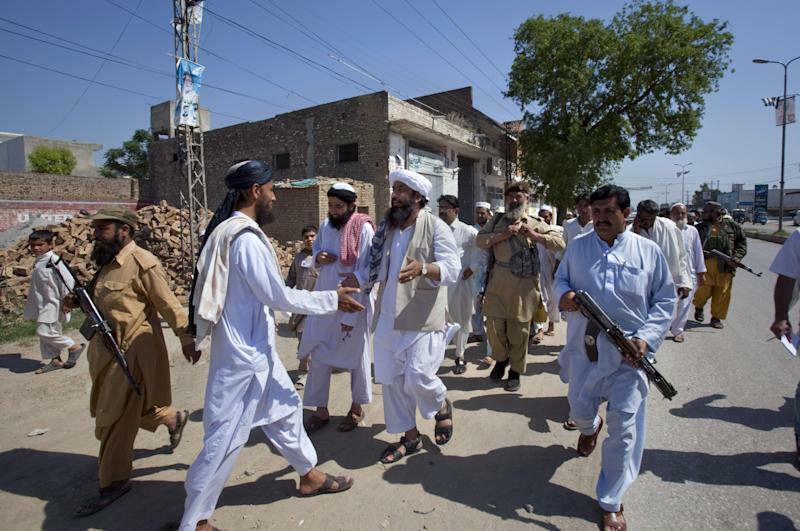 Mulk, surrounded by more than a dozen guards brandishing AK-47s, lambasted the outgoing Pakistani government for the U.S. raid that killed bin Laden in the army town of Abbottabad in 2011. He claimed Islamabad sold out the al-Qaida leader in exchange for U.S. aid, although there is no evidence of this being true. "They trade their brothers, their kids for dollars," said Mulk, an ethnic Pashtun who heads a Muslim seminary in Mardan. "They don't have any right to ask for your votes." Ijaz Khan, head of the international relations department at Peshawar University, said Mulk's party was well-placed to become a key member of the ruling coalition in Khyber Pakhtunkhwa, and perhaps put together the government itself. The party and several other Islamist parties formed the province's government before, in 2002. That year, they scored big in elections, running as an alliance that capitalized on anti-American sentiment in the wake of the U.S.-led invasion of Afghanistan. Also, the vote was widely seen as rigged in their favor. They won more than 15 percent of the seats in the national assembly and also formed the government in Baluchistan province, another important sanctuary for militants bordering Afghanistan. 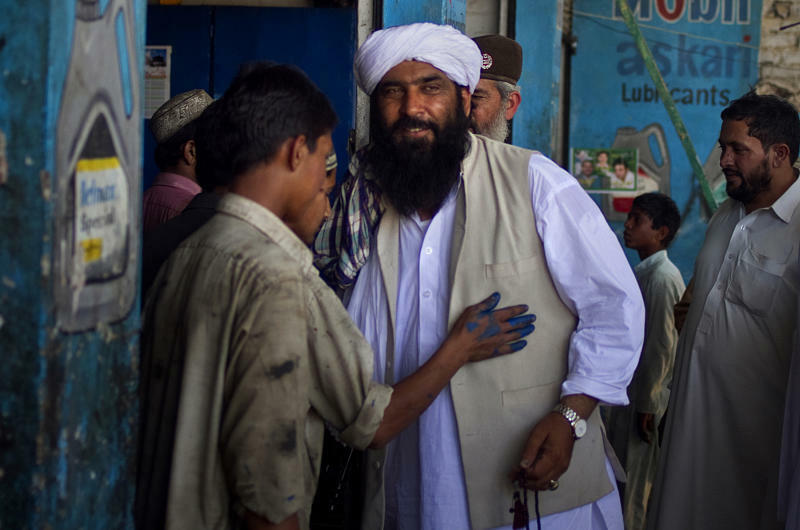 The Pakistani Taliban gained ground during their rule, and many development agencies found it difficult to work because they were perceived as agents of the U.S.
"Under the previous government in Khyber Pakhtunkhwa formed by Islamic parties, concert halls were closed, women were banned from advertising and faced restrictions in public life, and much of the mistrust of health workers can be traced back to that period," said Qadri, from Amnesty International. The Islamist alliance eventually fell apart, and they lost ground in the 2008 elections. The vote was not rigged in their favor and people were disillusioned with their performance in government. The main beneficiary was the Awami National Party, which took a strong line against the Taliban, formed a government in Khyber Pakhtunkhwa and was a key member of the federal ruling coalition. The trend looks set to reverse itself since citizens have now become disheartened with the Awami National Party, which is perceived to have engaged in rampant corruption. Taliban attacks in the run-up to the election have made it difficult for its candidates to campaign. Jamiat Ulema-e-Islam won eight of the 342 national assembly seats in 2008 and used its power within the ruling coalition to block the passage of a domestic violence bill against women that it thought ran counter to Islam. The party is expected to do even better at the national level this time around, and Jamaat-e-Islami, which boycotted the last elections, could also pick up a few seats. None of Pakistan's three main parties appears set to win a majority in parliament in the upcoming election, and analysts expect the next government will be a weak coalition cobbled together from various parties. Two of the leading parties — Pakistan Muslim League-N and Pakistan Tehreek-e-Insaf — are also seen as taking a softer line toward Islamic militants than the current Pakistan People's Party government. These factors all mean that Islamists like Mulk could have more influence in the years to come to push their anti-American agenda. "I guarantee there will be no terrorism once America leaves," said Mulk. "America is sucking our blood." Associated Press Writers Riaz Khan in Peshawar, Pakistan, and Rebecca Santana in Islamabad contributed to this report.